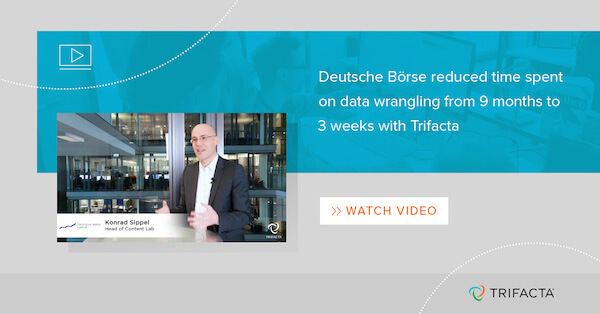 See how Deutsche Börse leverages Trifacta’s data wrangling solution to transform a variety of data for new exchange market products. Deutsche Börse generates huge quantities of diverse data across its organization, and needed a platform capable of efficiently wrangling that data for downstream analytic use. Learn why Trifacta was the right choice.